The adidas 4kg Neoprene dumbbell is great for incorporating into your workout routing as it will encourage strength building and muscle toning. Whether you want to focus on specific dumbbell exercises or use it to increase the resistance of other drills and workouts, it’s a very handy piece of fitness equipment. The soft and smooth neoprene coating helps promote tighter grip so you can use it safely and confidently even when you start perspiring. It also has a non-slip, anti-roll design so you can put it down between exercises and store it more easily. It weighs 4kg and is sold as a single dumbbell. for submitting product information about adidas 4kg Neoprene Dumbbell We aim to answer all questions within 2-3 days. 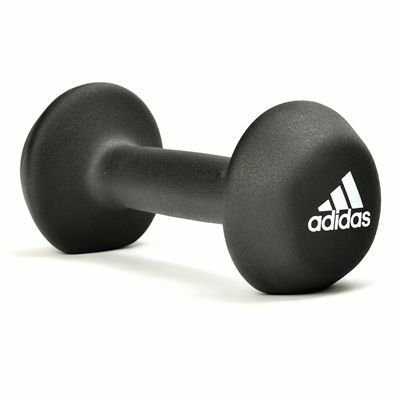 for submitting product information about adidas 4kg Neoprene Dumbbell. We aim to answer all questions within 2-3 days. If you provided your name and email address, we will email you as soon as the answer is published. for submitting product review about adidas 4kg Neoprene Dumbbell.